At the core of our Ahwatukee Foothills dental practice is a friendly team of professionals that are dedicated to your utmost comfort and optimal oral health. Dr. Douglas Pulsipher and his staff view each patient as a unique individual, and tailor each treatment to your specific needs. As part of our commitment to providing close, personalized attention to every patient, we want to encourage patient communication. Please know that we are here to provide outstanding patient care, and that we value the trust you have placed in us. 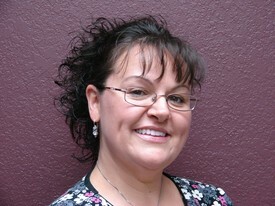 Candace moved to Phoenix from Reno, Nevada where she attended the University of Nevada with a Bachelors in Biology. She has been a great addition to our team! Candace loves being a dental hygienist which allows her to build relationships with patients and to change their dental health for the positive. Candace was recently married in February. She & her husband Mark love the outdoors & sporting events. The only little one around their house currently is Toby their dog. Anna attended Portland Community where she received her certificate in dental assisting as well as certificates in radiology, placement of sealants and coronal polishing. 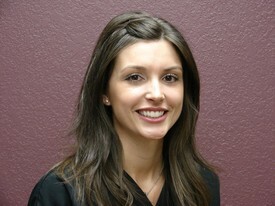 She has been an assistant for Dr Pulsipher now for over 9 years and really enjoys interacting with the patients. 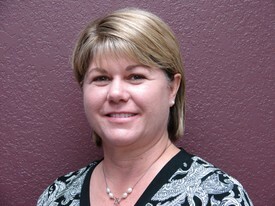 Before moving to Chandler, Anna grew up in Albuquerque, New Mexico and also lived in Oregon for a few years. She & her husband Mike have been married for 23 years. They have 3 children, Juliana, Christopher & Laura. If she's not hanging out with her family; Anna might be crocheting, reading, or at the gym or chillin' out in the pool. 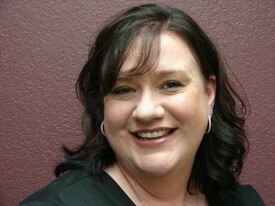 Lorie Jo is the newest addition to our highly professional staff, but by no means is she new the field of dentistry. She has been an assistant for thirty years and takes great pride in her work. Lorie Jo was raised in a small town in Kansas, spent time in Chicago and eventually moved to Colorado before settling here in Phoenix with her fiance' Sal. Her daughter Camille has followed in her footsteps and is also a dental assistant here in Phoenix. Lorie Jo enjoys cooking, sports, reading and just taking in the beautiful outdoors. As she looks to the future living in the "Valley of the Sun", Lorie Jo is especially pleased that she will no longer face the nightmare of driving in the snow. Nancy is the "other" voice at the end of the phone. Nancy grew up in Tuson and is an Arizona native. She has 3 grown children. You might remember seeing Evan, Hanna or Michelle in the office since they have all worked here at one time or another. The light of her life are her 3 grandchildren, Aubry, Lacey & Braden. Spending time with her family is high on her list of priorities. Nancy also enjoys camping, boating, crafts, sewing and of course shopping, especially for those precious grandkids!